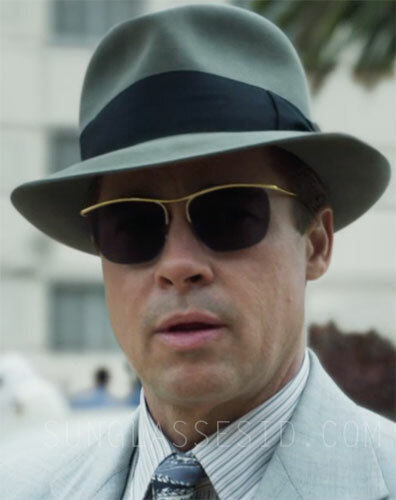 Brad Pitt wears a pair of vintage 1950s gold filled supra Nylor 'Doublé Or Laminé' France sunglasses gold frame sunglasses in the movie Allied. 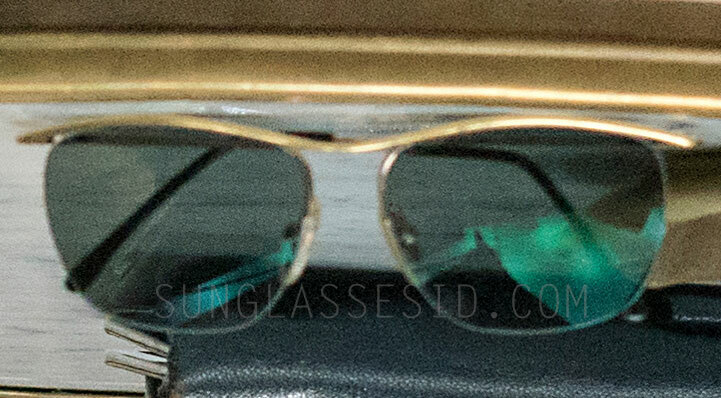 The glasses have a gold frame and black arm ends. These vintage glasses frames can still be found regularly on eBay. Similar current pairs of sunglasses are the Ray-Ban Olympian, but that model has rims around the lenses, while Pitt's sunglasses have a semi-rim frame. Similar but not the same: Ray-Ban Olympian. Another similar pair of sunglasses is the vintage model Persol 2123-S (see photo here). In the same film, Marion Cotillard wears a pair of LGR Alexandria sunglasses.